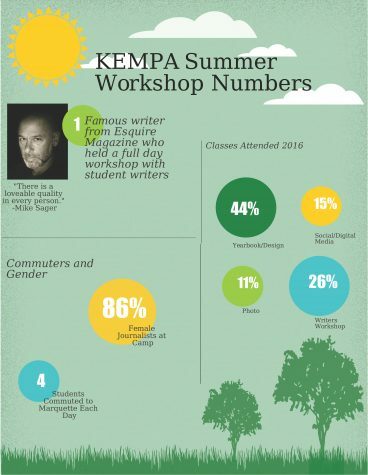 This year’s KEMPA Summer Journalism Workshop can simply be described as a “Beautiful Endeavor,” which just so happened to be the camp theme for the year. Six advisers, 63 students and seven interns attended, July 17-20, at Marquette University. “The theme of camp is based off of the idea that every journey has a silver lining and journalism itself is one of the most beautiful of all,” Director Patrick Johnson said to adviser Erik Farrar. For over 40 years, the Kettle Moraine Press Association has worked to encourage aspiring journalists to hone their craft in an intensive Summer Journalism Workshop, according to adviser Kia Sosa’s research. 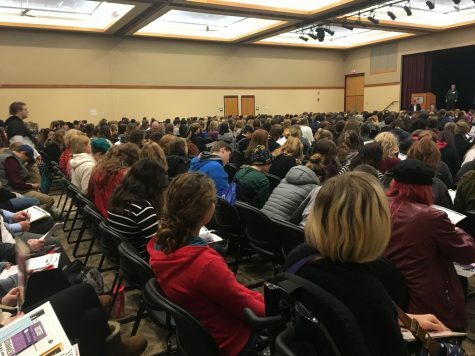 Now held at Marquette University, KEMPA SJW provides students with workshops, lectures, field trips and other opportunities to work on critical journalism skills. The students are divided between five class options: design, digital/social, photojournalism, writers workshop and yearbook. From presentations to critiques to day trips at the zoo, students learned and practiced skills, according to adviser Danielle Olejniczaki. She interviewed Chloe Falcon from Harborside Academy in Kenosha, Wis.
“Coming to the workshop I knew we would be working with very talented people and I expected to learn a lot – and I did – but the (instructors) are far more amazing than I expected,” Falcon said. 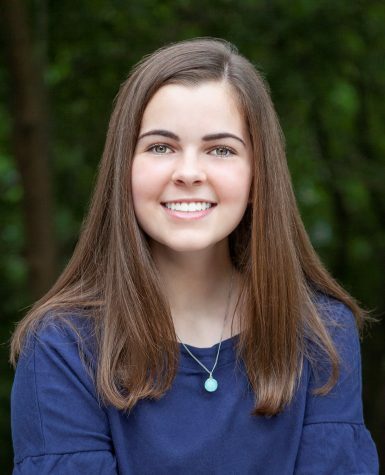 Adviser Laura Streyle from Stoughton (Wis.) High School discovered more about Sager’s interaction with the students in her interview with Vivian Walbrun, a senior at Brookfield Central (Wis.) High School. Walbrun was one of a small group of advanced students selected to attend a workshop with Sager. “He really talks with us. Rather than being at a podium, he sits down with us, we work on our writing with him, and we can really ask him any kind of question and he’s honest with us,” Walbrun said. 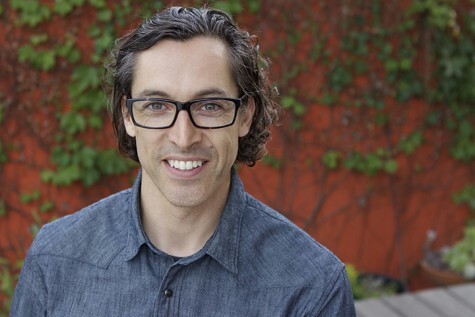 “I’ve made a list of 15 different article types that we could do for our next year as a publication[…]We mainly worked on feature articles, so setting up the scene and using the right verbs, and also…detail,” Walbrun said. Both Maliszewski and Isaac Johnson, who also writes for the Panther Prowler at West Salem High School, told adviser Kia Sosa that the people they met made this camp memorable for them. KEMPA provides an opportunity for students to network and collaborate, to learn from each other’s papers and organizational systems, and develop stronger writing skills. With new and returning staff working diligently to provide KEMPA Kampers with the best possible journalism camp experience they could ever have, Johnson said, “Mission accomplished.” A glance through #KEMPASJW16 on Twitter confirms this. From hosting one of the premiere journalists of today, Mike Sager, to a trip to the zoo and a number of fun camp activities, this year was a journey none of them will ever forget. But as one year closes, KEMPA begins to plan for another. Join us back at Marquette University for #KEMPASJW17: The Things that Make Us, July 16-19, 2017. 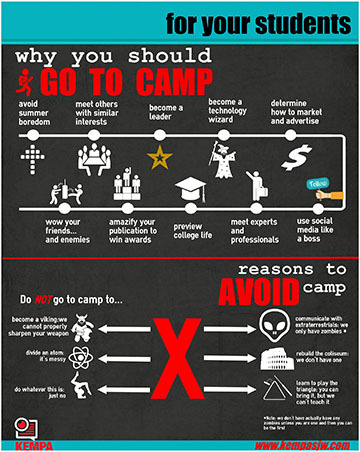 Make sure you attend KEMPA’s annual scholastic journalism conference on October to receive the first publicity for 2017’s camp to post in your classroom. Erik Farrar and Elizabeth Miller are the newspaper advisers at Belleville High School in Belleville, Wis.
Danielle Olejniczak is the yearbook adviser at Laconia High School in Rosedale, Wis.
Laura Streyle is the news magazine adviser at Stoughton High School in Stoughton, Wis.
Kia Sosa is the newspaper adviser at Grayslake Central High School in Grayslake, Ill.